Santiago, Chile - A lot still needs to be done to counter plastic pollution. Plastic products continue to pollute seas and rivers across the globe. A Chilean firm seems to have come up with an alternative to this pressing issue. It has invented a non-plastic bag which is free of oil derivatives which makes it capable of dissolving in water. 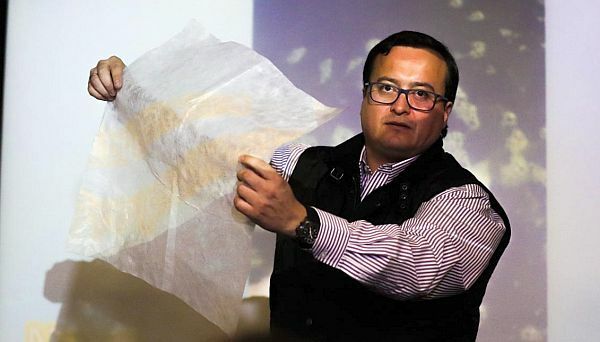 Chilean company Solubag has put forward a solution that uses hydrogen, carbon, and a synthetic polymer to produce a grocery bag that doesn't use any plastic. These bags can quickly dissolve in cold water and won't take countless years to disintegrate like their plastic-based counterparts. The company worked with its partner in China on this invention. It patented the raw material and a utility model for different kinds of bags. The concept of water solubility behind this product has been patented by the company as well. Solubag's Roberto Astete and Christian Olivares first started looking into an alternative to plastic bags many years ago. They later put their findings to the test in China's southern Guangdong Province with Chinese firm Polye Materials. The pair added that the bag they have invented is free of contaminants which makes it easy for the material to break down in water. The invention could advance the effort to reverse water pollution. "We were looking for a way to lower production costs, which led us to try with different suppliers to guarantee the quality of our product and always be environmentally friendly," Astete said. Read the original article and watch the video on ubergizmo.com.